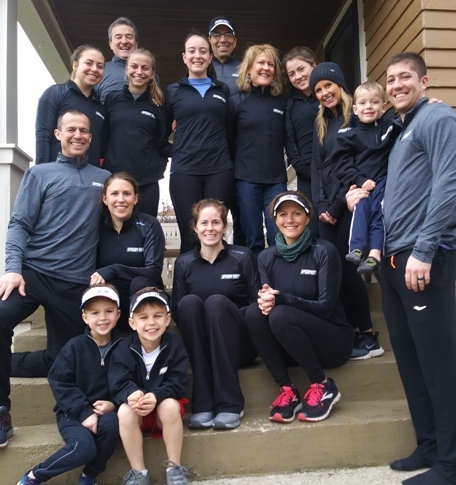 The Speedy Feet team began as a group of athletes who loved to run, swim, bike, paddle and basically do any type of exercise to live a healthy life. Our team has grown and now includes collegiate athletes, a personal trainer, a pilates instructor, and a high school coach. Some of us continue to love racing ourselves, but we all have grown to love providing others with great races and great experiences. We have taken our passion for exercise and channeled it into giving others great races and events! Hopefully our events motivate people and maybe create a few lasting memories along the way! If you are a race director, event producer or someone looking to raise money and are interested in having us time or manage your running, cycling or multi-sport event or if you just want our expertise in helping make your event better, don't hesitate dropping us a line. After having done over 150 events each year the last several years, we have the experience to help make your event a resounding success. I have loved racing for years. There once was a time when I raced in over 100 different events in a single calendar year. I still love racing all kinds of events from 5k to marathon, from bike time trials to triathlons. I have completed 14 Ironman triathlons, 4 in Kona along with upwards of 35 marathons. After 11 years working for an information technology company, I decided to couple my passion for racing with my experience in technology and purchased a timing system and began creating great events for others to enjoy!